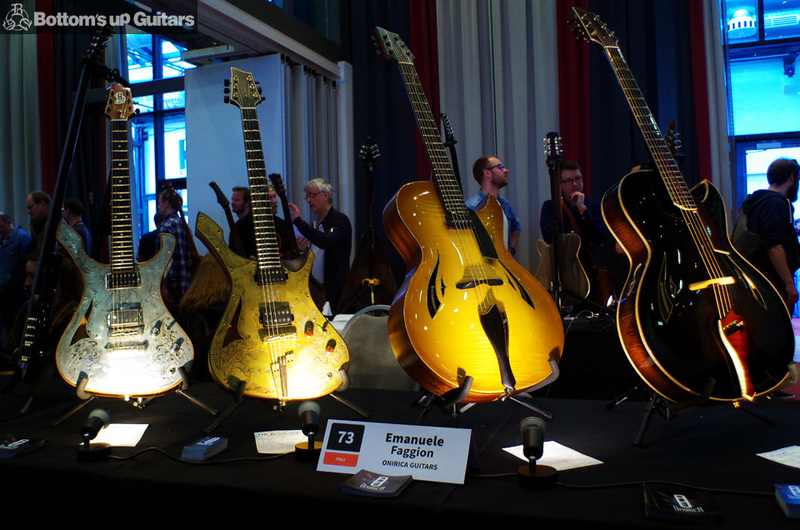 This year I’ve had the incredible honor and pleasure to be selected for the Holy Grail Guitar Show in Berlin. This means a lot to me: being able to take part to a fair where creativity and uniqueness is considered a value, having the chance to meet the best luthiers in the world, making new friends with your same vision about luthiery. I think that this has been my best experience so far, and I can’t wait to repeat it the next time, hoping to be selected again  . I strongly advise to anyone of you to visit this fair the next time it will be repeated. The level of quality and craftsmanship is impressively high, and here you can find some of the best guitars in the world. Moreover, the organization was flawless, so you can enjoy the fair without the typical problems of the fairs (high volumes everywhere, small rooms, low selection of the brands…) . Berlin is a wonderful city for music, and this fair is the perfect example of this. Hope to see you there next time!